Ready to begin reaching out to others? Discover the secret to the dynamic growth of the early church--the power of home-based fellowships. 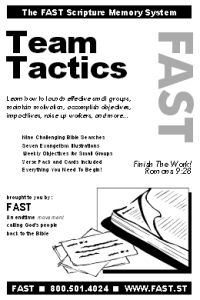 Then, learn how to launch, lead, and unleash an evangelistic small group today. Our Care Group model is built on solid New Testament principles. Lead your team into the joy of winning souls for Christ through the power of love. Everything you need to get started!